Actually that never happens. In case you didn’t know, vampires and witches would never walk into a bar together. They trust each other like the fabled scorpion and the fox. 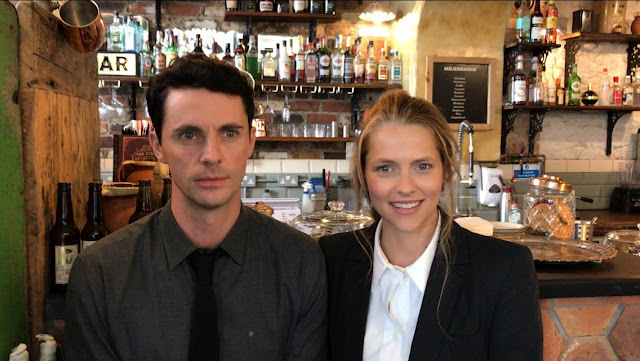 Unless of course, they’re Diana Bishop (Theresa Palmer) the witchy woman who warms vampire Matthew de Clairmont’s (Matthew Goode) heart in A Discovery of Witches, by Deborah Harkness. As you likely do know, (not just because you read the news here, but you may have) the first book in Harkness best selling All Souls trilogy is currently being made into a BBC television series starring Goode as the vampire and Palmer as Diana the witch. 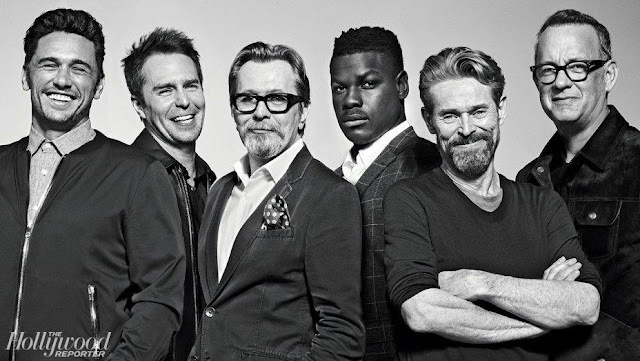 The series has just added some exciting new cast members. Lindsay Duncan who has a long history in mainly British film and television, including a stint on Sherlock, is set to play Ysabeau, Matthew de Clairmont’s snooty vampiric mother. 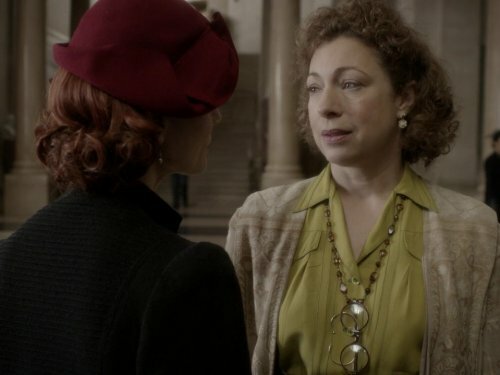 I remember Alex Kingston from E.R. (and I don't mean Elizabeth Regina) but if you don't go back quite as far as I do, you may know the British actor better from Dr. Who or even the TV series Arrow. Kingston will play Sarah Bishop, Diana’s (overly?) protective aunt. Who happens to be a witch. 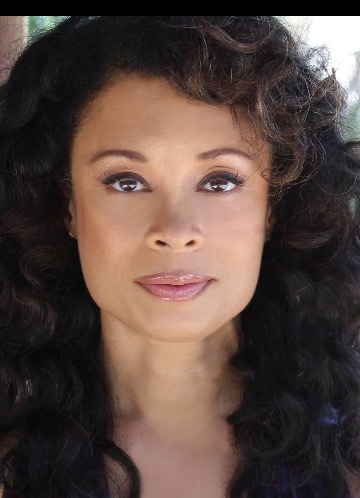 Also onboard, Valarie Pettiford (The Blacklist) as Em, Sarah’s less micro-managing partner. 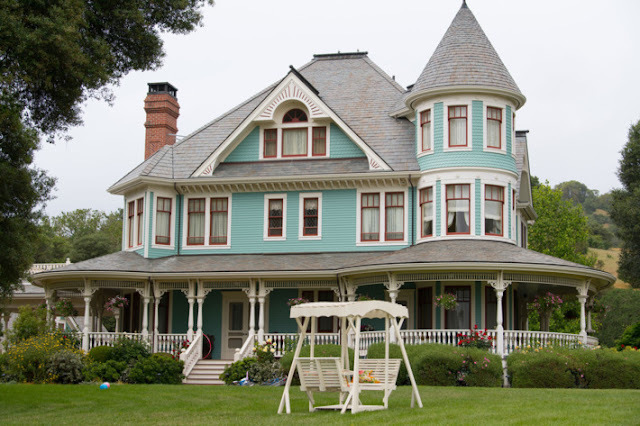 Have you read the wildly popular series? Deborah Harkness was a history professor at nearby USC—her historical background gives the novels the extra heft they’re praised for—and the hope is that all the books in the series will make their way to the small screen as well. I started paying attention when first learned that Theresa Palmer was playing Diana because my husband worked with Palmer on The Message from the King. And now, checking the credit list, I see Sophia Myles, (who my husband also worked with on Tristan and Isolde) joined the cast recently as fellow witch Rebecca Bishop. What a small and crazy world, eh? The film is shot largely in Wales, as well as Oxford and its’ Bodleian Library so I know my fellow Anglophiles playing along with Joy’s British Isles Friday will be following the film as closely as I am. Connect to British Isles Friday. You have some fun viewing with Sherlock ahead of you Tina! This sounds fun! I never read the books, although they've been on my list forever. I could take them off my list if the series is good enough! Devotees of the books are just that, very devoted! I'm about 1/2 way through Discovery of Witches, it's not usually my genre but as you say, it's fun.